Rights activist Krishna Kumari Kohli has became the first-ever Hindu Dalit woman to be elected to Pakistan's Senate, media reports said on Sunday. The 39-year-old Pakistan Peoples Party (PPP) leader from a village in Tharparkar is also the first-ever senator from a scheduled caste, according to Geo TV. Kumari's rise, however, wasn't easy. Born to a poor family in February 1979, she belongs to the Kohli community. Kumari hails from Nagarparkar where women are still deprived of basic facilities. She battled hunger and poverty as a child and was also a victim of bonded labour, reports Geo TV. According to Dawn news, when Kumari was a grade 3 student, she and her family were confined to a private jail for nearly three years. The jail was allegedly owned by the landlord of Kunri of Umerkot district. 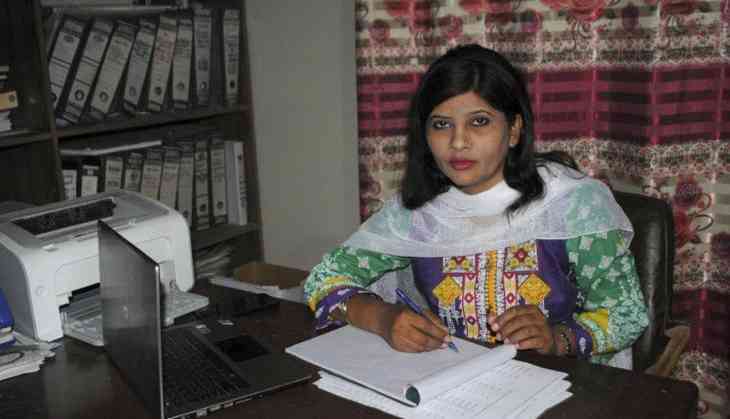 At 16, Kumari got married to Lalchand who supported her education and she got her masters degree in 2013 from Sindh University. As an activist, she worked against bonded labour, sexual harassment at workplaces, and for the rights of women and the people of her village. After being elected to the Senate, Krishna told Geo News: "I will not only represent women of Thar but act as a representative for women across the country and speak for their rights. "Many laws have been drafted for the rights of women but none of them has been implemented -- something I wish to change." Stressing that the major issues faced by the people of Tharparkar are child marriages and forced conversions, she said these needed "to be addressed urgently". She thanked the PPP leadership for nominating her, and clarified she has won on the women's seat and not the minority seat.